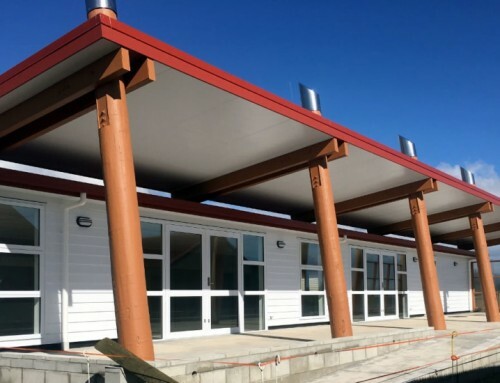 “If you want kids to be the future leaders, they need to learn at the marae. So this is an environment to help cultivate that.” Hori Hillman Principal at the school. Te Kura Mana Māori o Matahi is a rural school located near Waimana in the Eastern Bay of Plenty. Its isolation limits the residents of the valley when it comes to higher educational pathways. 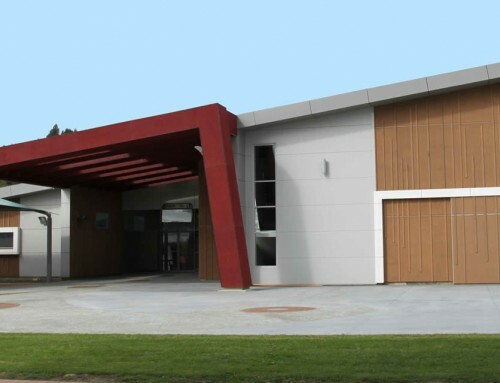 Therefore, the school also acts as a community hall, a community learning centre and a whare wānanga, or tertiary education facility for those who don’t have the resources to complete assignments. 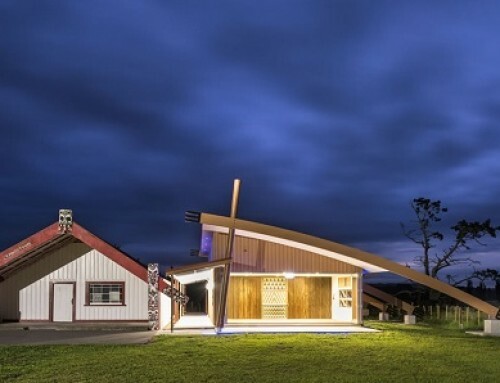 After a number of failed attempts to get the ball rolling and in a last ditch effort in 2013 to keep the dream alive, Hori Hillman approached Aladina Harunani of APA Architects in Rotorua. 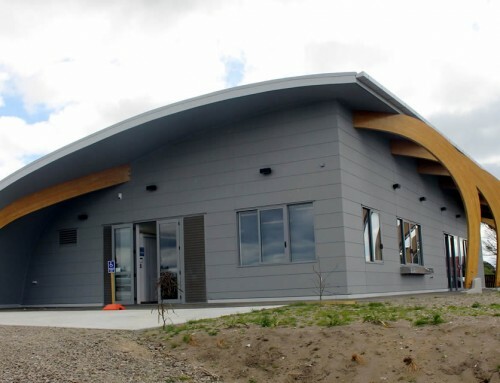 Having already formed relationships with Māori and having designed a number of marae and wharekai in the Tūhoe region, Hori believed Aladina was ideal for their project. This community were challenged due to their location. The school had very little funds available. After exchanging briefs we were ten able to determine the immediate needs of the school and community as well as future aspirations. A registered quantity surveyor indicated that the budget was well under that required. An ‘outside normal MOE rules’ approach was required. We sought estimated pricing from three reputable builders at concept stage and found one building construction company who would guarantee a price that would meet the tight budget. We then approached the Ministry of Education (MOE) for approval to begin work on the school. More challenges came from the new rules MOE had been imposing. These were in addition to the tight budget, the isolation, and unique design. 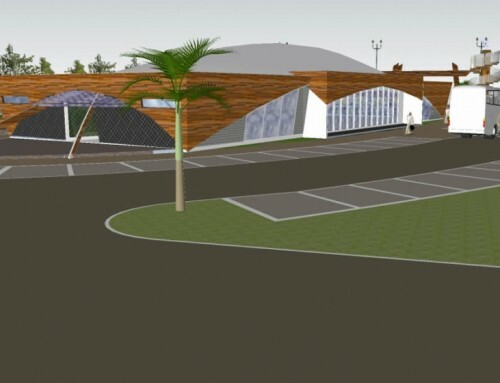 MOE has specific requirements from design, documentation through to procurement to construction. Having a very tight budget, this project could easily have become a ‘no go’ if we had given up. But the school, the board and the community persevered. Hori Hillman admits, he began to think it was impossible. “Aladina showed us a few pictures of what he thought it would look like. As soon as we saw it we were blown away, but we didn’t think it was possible”. The project included a kitchen, storage and paraplegic toilet and shower facilities incorporated with a multipurpose Hall. The vision of the school was to have additional learning spaces within the foot print. 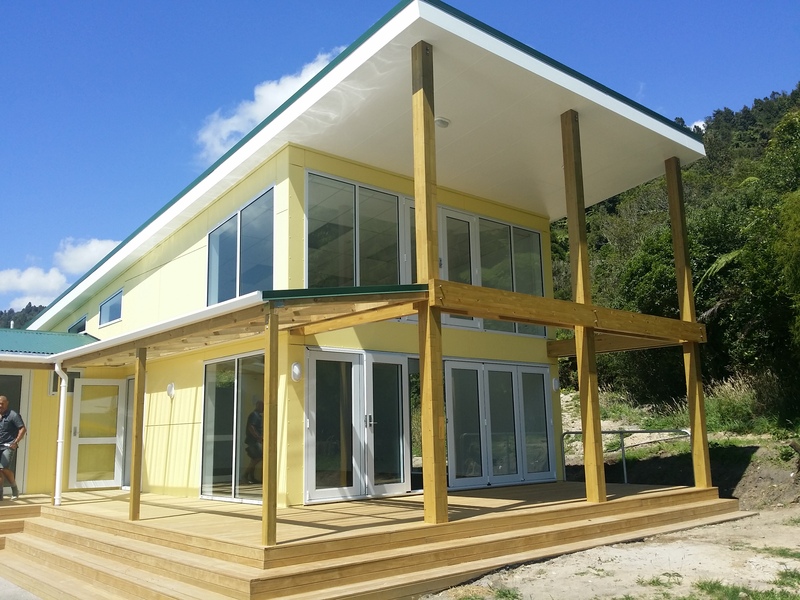 The school is located with an excellent outlook to the Whenua. The fact that they now have a multipurpose hall that the students and community are enjoying, is enough to give apa and their team the satisfaction that the dream of every school and community can come true. Despite the barriers they encountered, the positives are insurmountable.